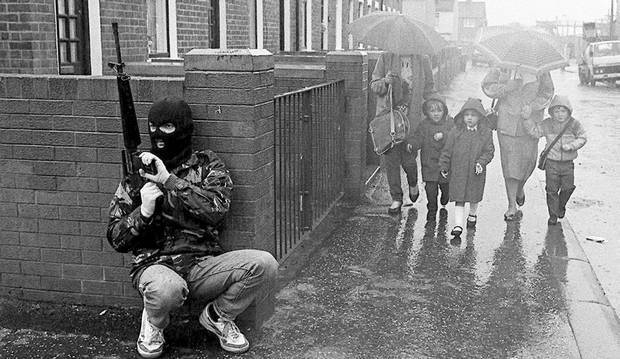 From 1968 to 1998, Northern Ireland was the battleground of a guerrilla war known as The Troubles. On one side was the Protestant majority called the Unionists, who wanted Northern Ireland to remain part of the United Kingdom. On the other side were the Nationalists, a Catholic minority who sought to become part of the Republic of Ireland. For 30 years, Northern Ireland ripped itself apart trying to decide whether to merge with Ireland or stay subject to the British crown. Over the course of the conflict, approximately 3,600 people died, with thousands more injured. 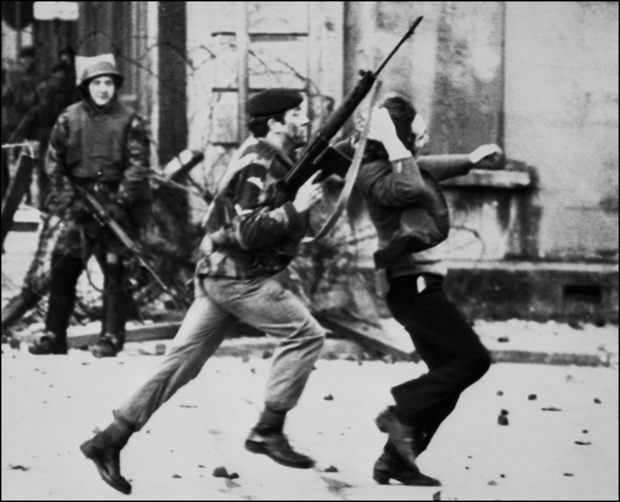 In one of the conflict’s most infamous massacres, Bloody Sunday, British soldiers shot 26 unarmed civilians taking part in a civil rights march protesting the internment without trial of any person suspected of being involved in with the Nationalist Irish Republican Army (IRA). Thirteen died on the spot. 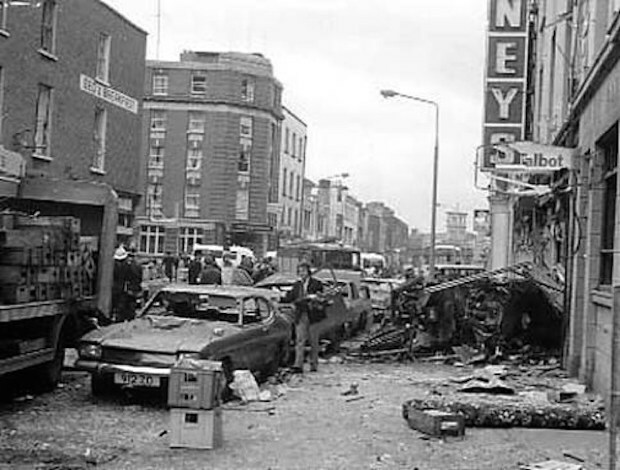 The IRA’s main goal was to unify Ireland under Irish rule, but it was often considered a terrorist group because of its repeated bombings of mainland Britain. The deadliest attack of The Troubles, however — deadlier than any of those mainland bombings or even Bloody Sunday — occurred on May 17, 1974. The Ulster Volunteer Force, a violent Unionist group, set off car bombs in Dublin and Monaghan. The attack was made in response to the Sunningdale Agreement, a power-sharing compromise agreement that would have given the Irish government influence over Northern Ireland’s internal affairs. Thirty-three people were killed and 300 more injured. After 11 more years of conflict, the Anglo-Irish Act of 1985 sought to end the conflict, but it wasn’t until the IRA called for a ceasefire in 1994 that an end finally seemed in sight. Peace talks eventually led to the Good Friday Agreement. Enacted in 1998, the agreement set up a power-sharing government between the Unionists and the Nationalists. Eighteen years later, Northern Ireland remains part of the United Kingdom. Why? Because, ultimately, The Troubles ended when the two factions agreed that if Northern Ireland were to ever unite with the rest of Ireland, the decision must be made through a majority vote, not an armed conflict.